During Saturday’s EA Play Press Event, EA Sports revealed the first full-length trailer for the upcoming release of Madden NFL 19. 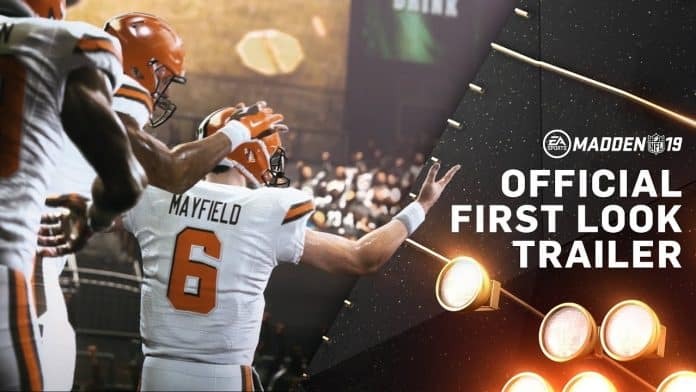 Featuring 2019 rookies like Saquon Barkley and Baker Mayfield, the trailer showcases some of the updates to the in-game visuals as well as the game’s new “real player motion”. Madden NFL 19 launches on August 10 for PlayStation 4 and Xbox One. Those who preorder the game’s Hall of Fame edition will get access starting August 7. The game’s PC version will launch sometime after the game’s initial release.